Kumarakom Lake Resort bags India's Leading Resort title for the fourth time! 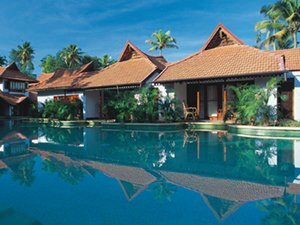 Kumarakom Lake Resort has been declared India's Leading Resort, for the fourth time at the World Travel Awards ceremony hosted in Singapore on Thursday 18th October 2012. The World Travel Awards is a prestigious event with trophies awarded in over 1000 different categories, making it perhaps the most comprehensive award ceremony in the world. The event was held at InterContinental Singapore, which was held in partnership with Singapore Tourism Board and TravelRave 2012, Asia's most influential travel trade festival. 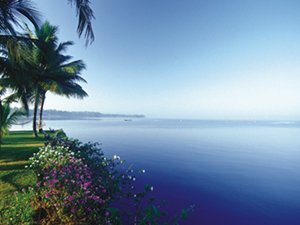 A heritage luxury resort, Kumarakom Lake Resort is in the tiny island hamlet of Kumarakom, an area famous for its unique ecosystem. 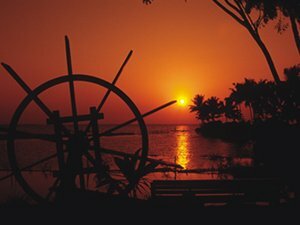 Set by the banks of the immense Lake Vembanad, Kumarakom Lake Resort has carefully recreated a bygone era by its timeless shores. 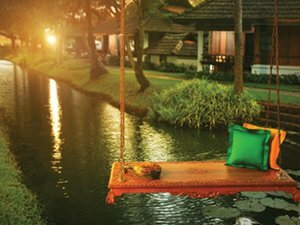 Fifty-nine heritage villas and luxury rooms echo the grandeur of the past; being constructed using bits and parts of traditional Kerala homesteads, some dating back to over 2 centuries. Its Ayurveda spa, Ayurmana, is a green leaf certified spa housed in a 200 year old nalukettu and its multicuisine restaurant, is actually a palatial Ettukettu commissioned by the King Marthanda Varma. Luxury has been given special emphasis all through the resort, as is obvious through two if its newest offerings - the Heritage villas with Private Pool, which offer a personal pool and Jacuzzi attached to each villa, enclosed in its own private courtyard for maximum seclusion. The Luxury Pavilion Rooms, tucked away amidst lush greenery offer an ambience that is at once cosy and imposing. Being the winner of India's Leading Resort, 2006, 2007 and 2008, Kumarakom Lake Resort is no stranger to accolades. It has also won awards for architectural excellence and the Wall Street Journal once famously remarked it as the place for a holiday pamper. The World Travel Awards were conceived in 1993 to acknowledge and celebrate excellence in the world's travel and tourism industry. Now in their fourteenth year, travel professionals and discerning travelers have come to regard the World Travel Awards as the very best endorsement that a travel product could hope to receive. These Awards are especially coveted as, uniquely, the votes are cast globally by fellow professionals.